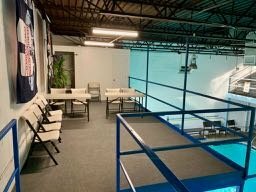 Here's our new classroom, above the pool like it originally was, but we removed the walls, so that the room breathes so much better! Plus a changing room & storage in the corner. 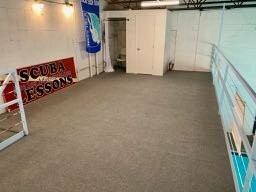 This where host most of our classroom sessions for scuba, swim & snorkel classes. Our other deck was turned into an observation deck that will soon have a lounge area, plus a changing room in the corner. We removed the storage room to create a huge deck. 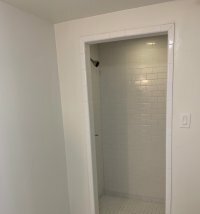 New shower was added in one bathroom, plus new tile. Great for showering off after your diving class. Careful, we found out that dive boots are extra slippery on tile.